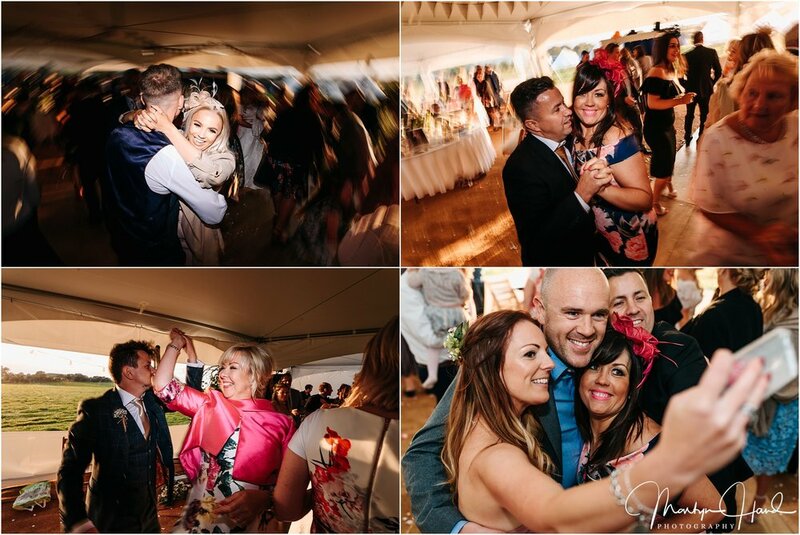 Sometimes as a wedding photographer you get to attend a wedding where you can really feel the love all day long. 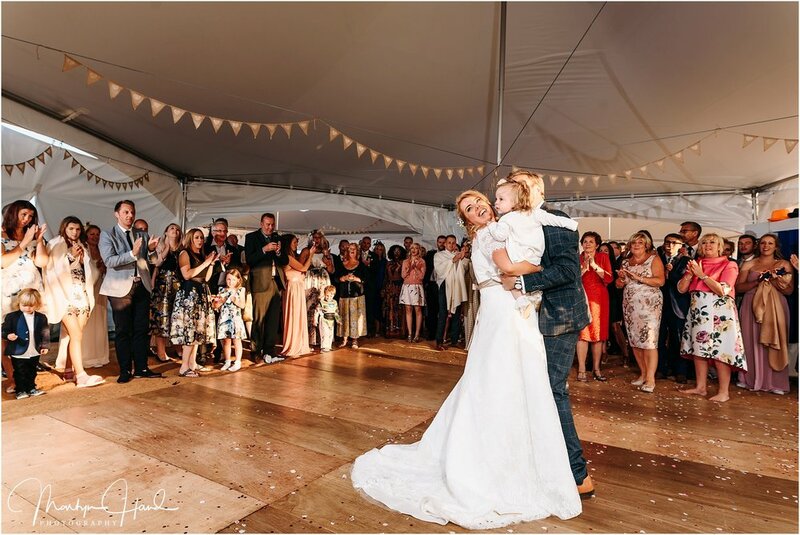 It’s not just the love shared between the couple but from their family around them and their guests supporting them and it is genuinely an amazing experience to be a part of. 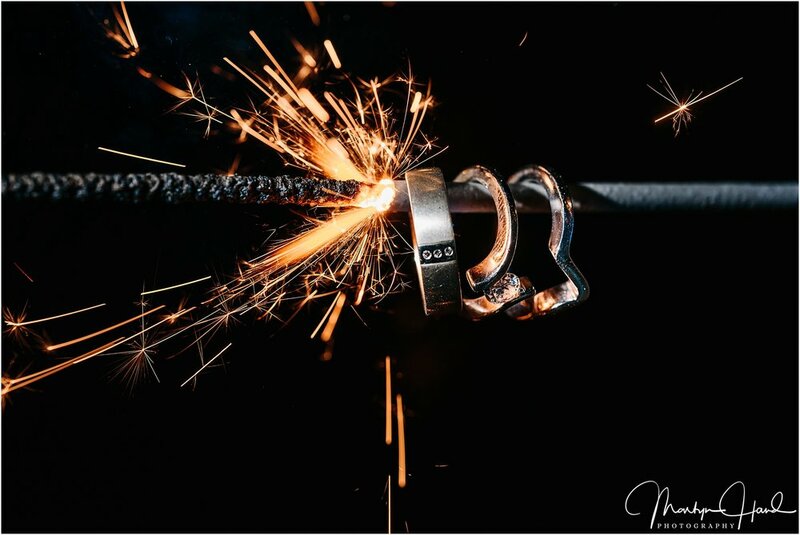 There are also weddings that in the planning stages you get very excited about capturing as you hear what the couple have planned and how they want it to pan out, thinking of interesting and artistic ways to capture what unfolds. Laura and Mark’s wedding ticked both these boxes! 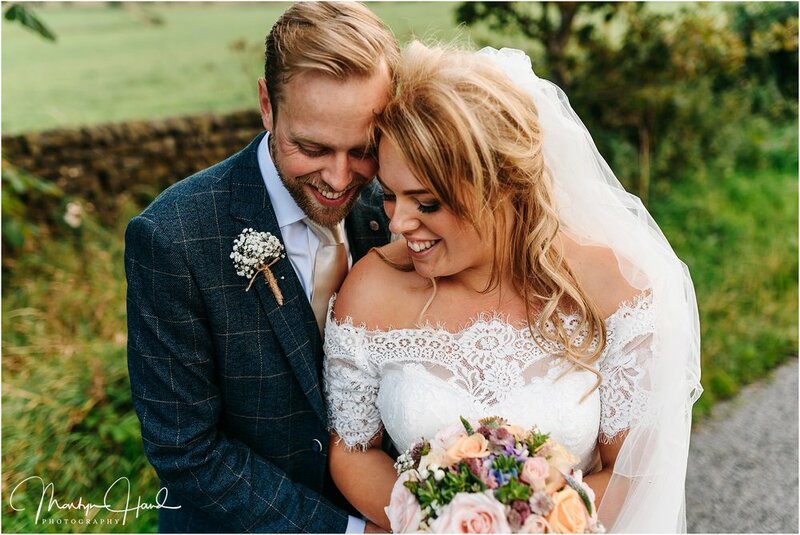 Deciding to plan their own day entirely, Laura and Mark hired a field next to Almscliffe Crag, a gritstone outcrop in North Rigton, on the way to Harrogate. The pair had often come here with their beautiful daughter Lydia to walk their lovable dog Busby and they decided thats where they wanted their wedding to be held. 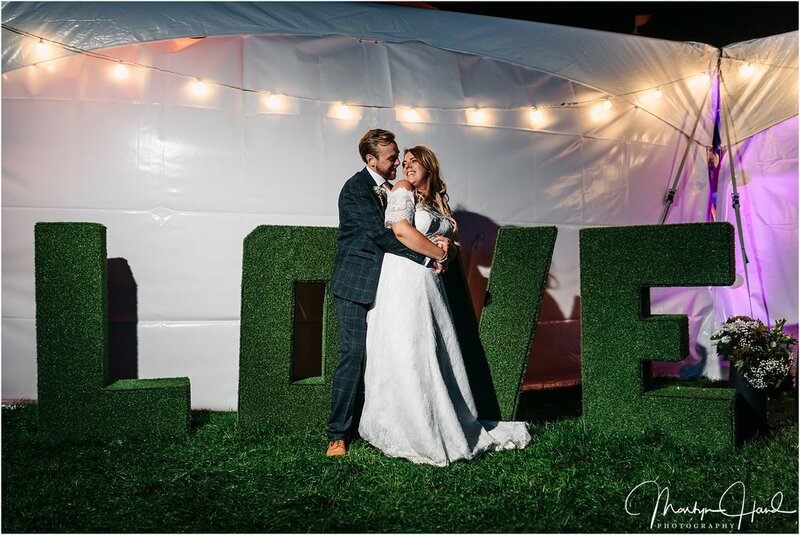 No fancy reception venue or church, they wanted their own festival in a field and boy did they get it!! I joined Laura at her parents house capture her morning preparations while my wing man for the day Ben, joined Mark and the guys in their tent, where they had spent the night before finishing off the final touches to there amazing venue. 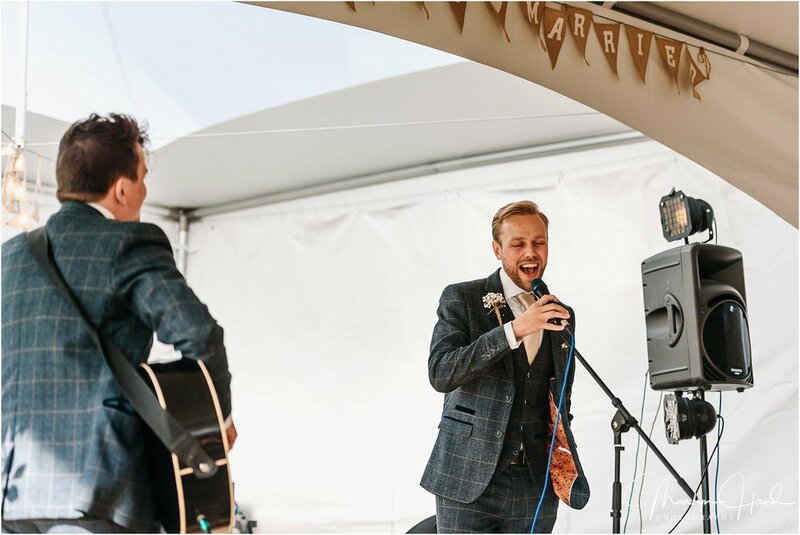 News filtered from camp Groom to team Bride that although dry, the wind up at their venue, as it was on top of a hill, was pretty extreme and it made the giant tent sound like a Helicopter taking off at times! With this to look forward to we set off, stopping first to pick up the bridesmaids at the lovely Square and Compass. Once the ceremony commenced it was clear to see the love these guys have for each other and their family. Laura and Mark had written their own vows and they were so touching and passionate its safe to say their wasn’t a dry eye to be seen. 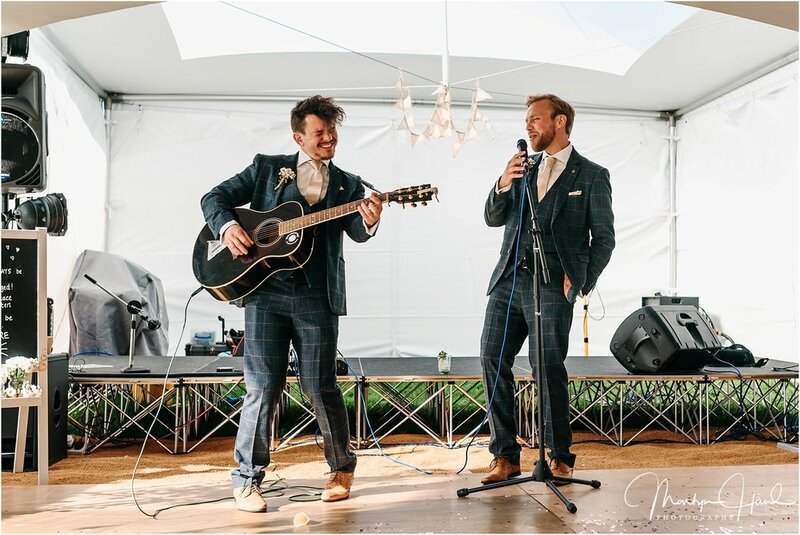 We then moved on to some of the most hilarious speeches I have heard to date, with a stellar performance from both Mark and his best man Matt. However, the Gold Star award has to go to Laura’s dad, Kim with his incredible impersonations and fantastic props. Once we thought the wind had died down enough we eventually headed outside to grab some quick portraits. Unfortunately due to Hurricane Gert deciding to whip back up to speed, we couldn’t head up the Crag itself for the epic views but we have all agreed we will go back, full wedding attire, when the guys are back from their honeymoon. I’ve put together a selection of highlights from their amazing day in a slide show. 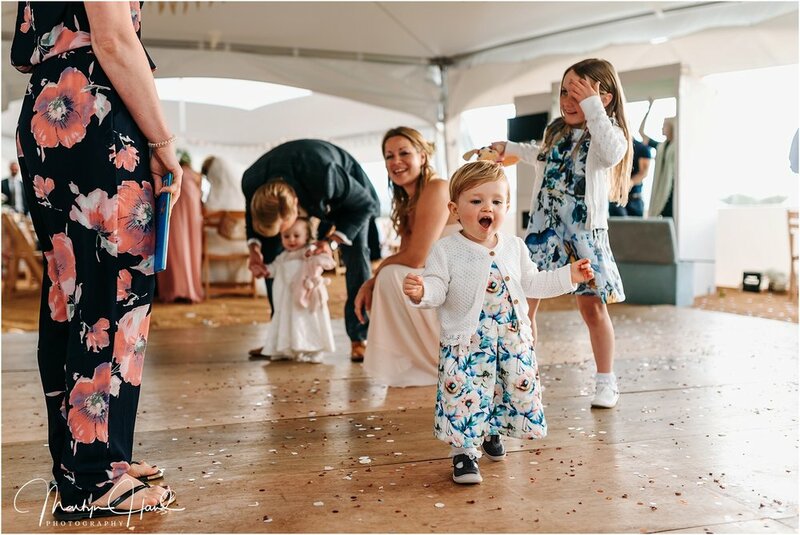 It’s set to Coldplay’s O, which Laura walked down the aisle too and then the song they had the amazing Brothers on the Slide sing for their first dance, John Legend’s Stay With You. As the images can sometimes pass a little quick i’ve added them all below for you all to see. Grab about 20 packs of tissues, this one really is a tear jerker!